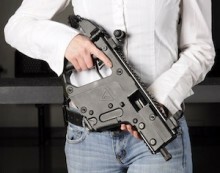 Over at Shooting Illustrated, Caleb gives the civilianized Kriss Vector pistol a review. I was going to point out the Kriss review I did after the Lucky Gunner shoot, but it turns out it only ever existed in my head. Guess I need to remember to write the down. The Kriss SMG is also quite a lot of fun, and the recoil reduction of the system does work as advertised. It has more kick than I expected, but for as high as the cyclic rate is, it’s quite controllable. I think they have an interesting system, but with tactical teams moving toward rifle-caliber carbines and PDWs, I’m not sure how much luck they’ll have selling a pistol caliber SMG. But if you have the cash to pony up, it is a lot of fun. Obviously the Kriss SMG is not available to civilians, but the carbine version is the same system in semi-auto. If I were going to pony up the money for one, I’d go for the extra $200 for the tax stamp to get the short barreled version. As a shooter, I’ve never been too enthusiastic about semi-auto versions of submachine guns, and I don’t own any, but if I were going to spend the money on one, I’d get a Kriss. I was able to shoot the Kriss about a year ago, and then again at the LG blogger shoot. It is fun in full auto, but I don’t see the point of the semi auto version. I wrote a review of it after the first time I shot it, with video of my wife taking a turn with the gun. If you want to read it, click on my name and it will take you to the link to that article. 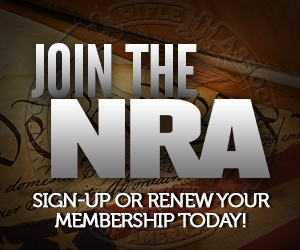 I like semi-auto pistol carbines – maybe because I’m far better with a rifle than a pistol. The Kriss looks cool but is priced WAY out of range of the competition. Even the H&K is significantly cheaper.